Of course, the number one reason is because burgers are as American as apple pie. Who doesn’t really love a good burger? Even those eschewing meat love a good veggie burger. According to Franchisehelp.com, the burger industry has annual revenues of $100 billion. There are no concerns over an oversaturated market here. Burgers, milkshakes, fries…you can’t go wrong with selling these American staples. Whether it is a quick meal for the kids between school and soccer practice or the weekly Friday night treat, burgers are what people crave. 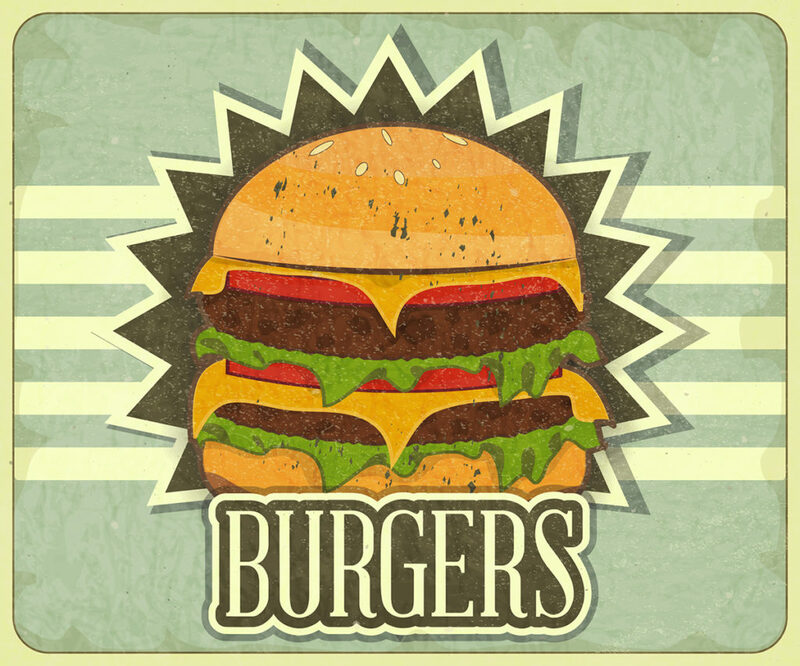 As a burger franchisee, you can feel confident that you have a built-in customer base right from the start. If you decide to start your restaurant from scratch, no one has heard of you before and you will need to do a lot of brand building in the beginning to become a recognizable name. When you choose to buy a burger franchise, however, you will already have that brand power behind you. Familiarity is important for return customers. When they walk in your door, they want to know what to expect from everything from the menu to the atmosphere and design of the restaurant. No matter which burger franchise you choose, you will have a preset menu and guidelines to follow when it comes to what your restaurants look like and customer service policies. For example when someone walks into a McDonalds, it doesn’t matter where in the country, they know exactly what their food options will be and know the basic layout of the restaurant. Not to mention the fact that those golden arches are recognizable just about everywhere. If you chafe a little at the thought of everything being uniformed and done the same way, every day, don’t worry. What makes burger franchises so successful is that there is still room for innovation. Take for example, the typical menu at a burger franchise. While you typically can’t vary from the preset menu given to you, the franchise owner can offer you new, innovative products for your menu so go for a burger franchise that has already been proven to be innovative not only in menu, but in customer service, community outreach and technology. If you are worried that with the concern over obesity that fast food joints will soon be obsolete, don’t worry. Successful burger franchises are learning to adapt to the needs of their customers. When choosing a burger franchise, pay attention to what ingredients are used. In today’s health-conscious world, people are demanding fresher, higher quality ingredients and a successful franchise will deliver. If healthier fare is a priority for you than also look for burger franchises that offer fresh salads and fruits and vegetables as well as vegetarian options as well as the standard burger joint fare. What makes burger franchises so successful is that they can be so much more than just your typical fast food joint. You just need to do your homework first before settling on a particular burger franchise. There is a lot more variety between your options than you probably think. While there are your typical McDonald’s, Burger King, Wendy’s options, you also have franchises that are fast casual burger chains which offer higher quality burgers and franchises that focus on organic menus and farm to table practices. Some franchises also pride themselves on only using Angus beef. It is very important that you have a strong sense of what you are looking for before you start seriously looking at burger franchises. Another reason burger franchises are so successful is that you have a strong franchise system and network to support you. While each individual franchise will vary a little in how much support they give you, all burger franchises offer you training and an infrastructure to help you run your business. This is especially important if you have never owned a business before. From selecting your location to getting the restaurant up and running to helping with advertising campaigns and marketing, the franchiser offers you valuable resources. The great thing about burger franchises is that you don’t need to already be a millionaire to get started. Startup costs usually range from a couple hundred thousand to a couple of millions, giving you some options if you are not independently wealthy. Buying a burger franchise is a big investment, but don’t count yourself out if you are not rolling in dough. Do your homework and get a realistic picture of your options. Okay, have to say it again. Who doesn’t love a good burger? Burger franchises are popular haunts for families because typically everyone can find something on the menu that they love. Because it is such a prime spot for families, it also gives franchisees a chance to become a real staple in their community by holding and participating in family-oriented community events. When mommy, daddy and junior all love coming to your restaurant, you know they will be back time and again for more. No matter what cool concept you have or how much money you can throw at this venture, what makes any business successful is the right people behind it. The same is true for burger franchises. In order for your restaurant to be successful, you need talented people in the kitchen and at the counter or tables as well as in the back office. And the great thing about owning a franchise is that you have human resource experts just a phone call away to help guide you as you build your staff. Owning your own business can be a scary proposition, but at least buy choosing to own a burger franchise, you will have some strong building blocks that will help you succeed.